ROD END TYPE: 3-P FK Rod ends, Teflon lined, Precision series. -Allows preload adjustment when lowered or with aftermarket sway bars. 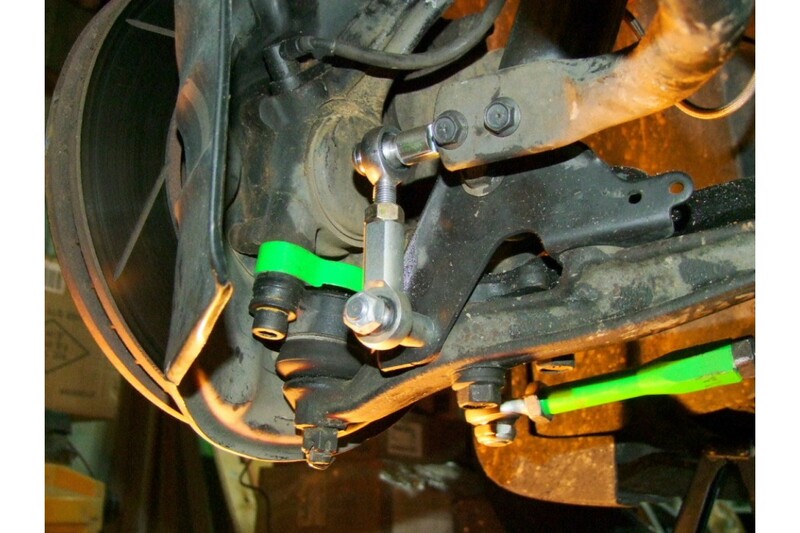 FRONT SWAY BAR ENDLINKS Application IS300, GEN1 IS. Version: 4.0 - Stainless press in stud R..
FRONT SWAY BAR ENDLINKS Application 2006-2013 IS250,IS350, IS-F, 2007-2012 GS350, GS460 AWD includ..